NORTH Ballarat will not field a Victorian Football League team next year. AFL Victoria announced on Thursday afternoon it had stripped the Roosters of their VFL licence because of governance issues, but remained hopeful they could return as soon as 2019. The club has battled "significant" board problems in the past two years and lost the confidence of the state's ruling body, according to AFL Victoria CEO Steven Reaper. North Ballarat won a hat-trick of VFL premierships between 2008 and 2010 under legendary coach Gerard FitzGerald, but claimed only four victories from 36 games in the past two seasons. "AFL Victoria needs to ensure there is a sustainable team in Ballarat, and one that is representative of the region and is fully focused on a state-league presence," Reaper said. 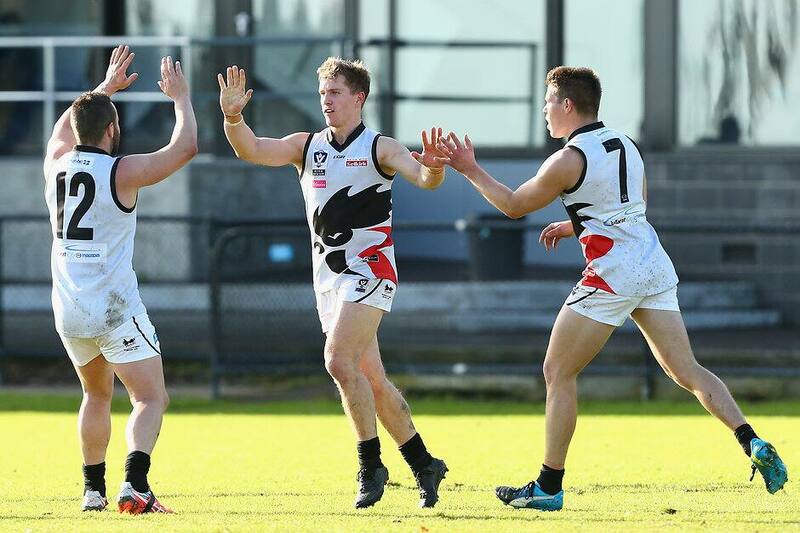 "A recent football review at the club indicated issues with the current governance structure in place to support the VFL program, given it also had a focus at community level with North (Ballarat) City playing in the local Ballarat competition. "When combined with the identified need to also restructure the on-field program, AFL Victoria believes that all of the proposed changes would take significant time to effectively implement and feels that the club would be better placed to focus on making these changes before again considering a VFL presence." Frankston was able to convince AFL Victoria to readmit it to the competition for next year in a major success story after it sat out this season. But a former North Ballarat board member told AFL.com.au he doubted history would repeat itself, given the conflicting priorities on the board. "It was kind of expected. Unfortunately, the wrong people are in control of the club," he said. "I'm not sure there is any coming back from this, as far as North Ballarat holding a licence. "There is talk around whether the licence held in this region might be by another entity, and that entity could be AFL Goldfields." North Ballarat City was found guilty a fortnight ago of breaching its affiliation agreement with the Ballarat Football Netball League in the latest drama. The saga has been a major talking point in Ballarat, with the Ballarat Council announcing in February the compulsory acquisition of what was then known as Eureka Stadium, where an AFL match was held for the first time this year. The city’s mayor and chief executive also left the door ajar at the time for a separate organisation to field a Ballarat-based VFL team if the current one exited the competition. Reaper said the Frankston example demonstrated stepping out of the VFL could be a positive for North Ballarat. "Time out of the competition allows clean air to strategically review all aspects of the VFL operation and ensure the best model going forward," Reaper said. "Any future entity needs to form long-term relationships with key stakeholders in the region, and ensure all parties are working together to grow the game in Ballarat and surrounding areas. "With all parties working together, a quick return could be seen for a Ballarat entity in the VFL." Triple North Ballarat premiership player and ex-AFL ruckman Orren Stephenson and 2015 J.J. Liston Trophy winner Nick Rippon are among those to reveal their disappointment at the events.